The spirit of festivity is gradually catching up with Glo and I’m beginning to love this and I wish they can do more. Glo recently lauched two promo, Glo overload and Glo Allowee. Glo Overload automatically credits subscribers with 200 percent airtime and a data bonus every time they recharge with NGN 200 or more. Glo Allawee gives every new customer NGN 18,000 worth of free airtime for calls and text messages. Under Glo Overload promo, subscribers are guaranteed 200 percent bonus airtime automatically for every airtime recharge of NGN 200 and above. For instance, a subscriber who recharges with NGN 200 will automatically get NGN 600 airtime; a NGN 500 recharge will give the subscriber NGN 1,500 airtime; a NGN 1,000 recharge will give NGN 3,000 airtime to the subscriber; NGN 2,000 recharge will give NGN 6,000 airtime and NGN 5,000 recharge will give the subscriber NGN 15,000 airtime. Yes, this is not a Blackberry plan, so tweaking of IMEI is not necessary. It works on all smartphone, PC, tablets, Phablets including iPhones/iPads. How Can I Enter This Promo? 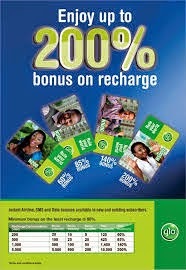 We hope to see more cheaper promos from Glo.